Giving Tuesday represents a global giving movement. In that spirit, LakewoodAlive will be giving back to the community on Giving Tuesday 2017 by undertaking a volunteer housing project that day to help an elderly Lakewood resident who’s occupied her childhood home for 60 years. Click here to support us through our Facebook campaign. Help us reach out goal to raise $5,000 today. Don’t have Facebook? Click here to donate to LakewoodAlive and support our mission to foster and sustain vibrant neighborhoods in Lakewood. LakewoodAlive’s Housing Outreach Program will complete its record-setting 49th volunteer housing project of 2017 on Tuesday, November 28, from 10 a.m. to 1 p.m. by assisting a longtime resident of Delaware Avenue who suffers from mobility issues. A volunteer crew comprised of LakewoodAlive staff and board members will aid this resident by providing leaf-raking and yard cleanup assistance. In honor of Giving Tuesday, Facebook will be waiving processing fees and providing 100-percent donation matching to qualified nonprofit organizations, such as LakewoodAlive. 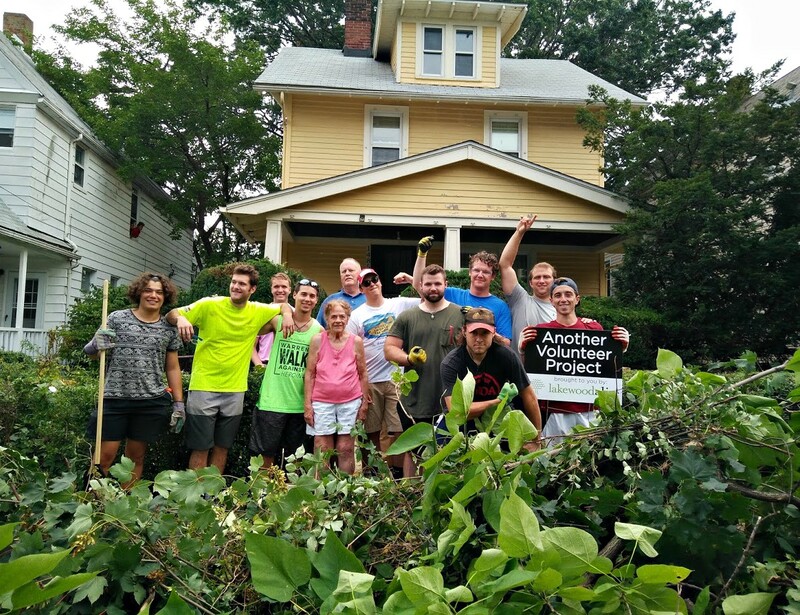 LakewoodAlive, in conjunction with this volunteer housing project, will orchestrate a one-day fundraising campaign via Facebook to raise donations on Giving Tuesday in support of our ongoing mission to foster and sustain vibrant neighborhoods in Lakewood. Only donations made through LakewoodAlive’s campaign on Facebook will be eligible for 100-percent matching. Visit LakewoodAlive’s Giving Tuesday Facebook page today to learn more about our Giving Tuesday efforts. Thank you for your support.